Lupus is a cruel, nasty, spiteful disease. The autoimmune disorder wages war largely against young woman (90 per cent of lupus sufferers are female, with an average onset age of between 15 and 45) and hasn’t even the common decency to show itself in a manner that makes diagnosis simple. That’s because lupus is a sly smorgasbord of symptoms – skin rash, joint and muscle pain, fever, arthritis, weight change, alopecia plus potentially fatal conditions which affect the lungs and blood – and presents itself differently from patient to patient. There is currently no cure and lupus seriously impacts the lives of those unlucky enough to suffer its ravages. 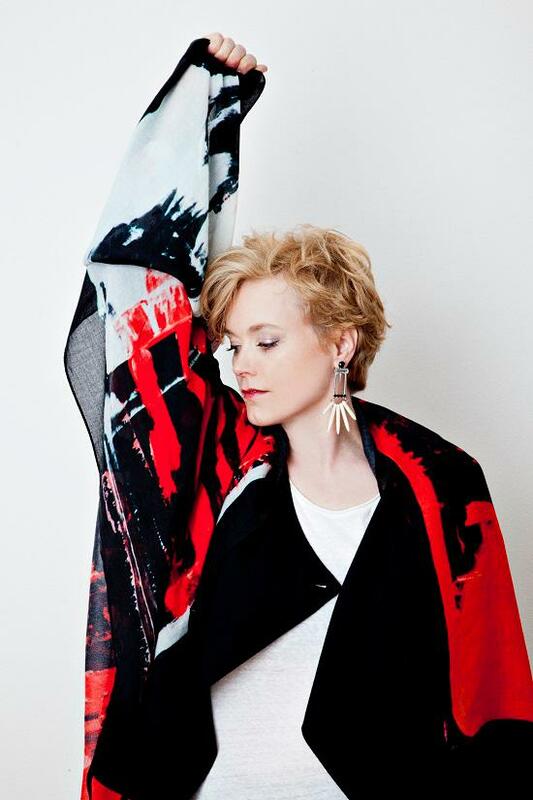 Ane Brun has had lupus since 1998. The Norwegian singer-songwriter was first troubled with changes to her skin. When I ask her to what degree lupus has affected her life she tells me that if we discount the two ‘flare’ episodes that saw her hospitalised for weeks and off work for months, and the life-threatening pulmonary embolism she survived, the disease has been “quite kind” to her. What lupus hasn’t done is prevent Brun from creating a wonderful catalogue of dextrous folk music wrapped around her crystalline, pin-drop voice. Since her 2003 debut album, Spending Time With Morgan, Ane has released six studio albums, as well as live albums and a recent Rarities and a ‘Best Of’ collection (Songs 2003-2013). But, there is something different about new album When I’m Free. The music is warmer, more intimate than previous work and laden with beats and brass. Its songs are inspired by some of the music Ane loved as a child – Lauryn Hill, Charles Mingus and DJ Shadow to name but three – resulting in her most playful and carefree work to date. The reason for this change in philosophy is rooted in Brun’s relationship with her lupus. In 2012, after being forced to cancel a North American tour with Peter Gabriel due to her health, she had an epiphany in the middle of the night. She stopped being afraid of her illness and decided to replace her fear with fun. When I’m Free is the summation of Brun’s new approach to life, and one that saw her agree to pen a UK Top 5 dance hit – ‘Can’t Stop Playing (Makes Me High)’ with Dr Kucho! & Gregor Salto - earlier this year. In preparing for the article, Ane agreed to talk to me about her lupus. It would be the first time she had spoken to a journalist in any detail about her condition. She was keen to raise awareness about lupus and as she revealed her story, I was deeply humbled by her honesty and bravery. It is wholly fitting that When I’m Free is Ane Brun’s finest record to date. I would like to start by talking about your lupus. Can you tell me a little bit about how you first became ill? Ane Brun: It is a very individual disease, as everyone has a different combination of symptoms. For me, the first thing that happened was that in 1998 I got the skin part of the disease – in the form of a rash - which was almost like a lighter form of lupus where only skin changes are involved. Then, in 2003, I released my first album and had been under a huge amount of stress during the previous two years. I was 27 and didn’t really know how much my body could take. I was young and thought I was a superwoman. One day I fell ill. I got a high fever, which didn’t go away for weeks. The doctors did all kinds of tests, but they kind of avoided the lupus angle of it – maybe because it is such a feared disease - even though I was trying to say to them I thought I had the skin version of lupus. After about five or six weeks I got the diagnosis and then began to get the proper treatment. How long did it take you to recover from that first ‘flare’ of the disease? AB: That first flare was really rough – I was away from work for six months. Over the years I have a number of flares, but only two have been serious. One of the symptoms of my lupus is something called antiphospholipid [antibody syndrome], which means I can easily get a thrombosis and blood clots. I have had a few of those during the years. They are serious and the most dangerous part of my lupus – but have been under control for the last few years. The last big flare I had was in 2012. Again, I had had a couple of years of too much stress – emotional stress mostly – and I got a really high fever that didn’t disappear, and I lost a lot of hair. It was my immune system going wild. I took quite some time to recover. That sounds really rough and a difficult situation to have to deal with. How has your lupus affected your day-to-day life? AB: Well, for the two big flares I was actually hospitalised for many weeks – so that was pretty serious. Other than that, I have only been is hospital for a few days when I have been sick. I haven’t had to cancel tours more than twice in the period since that first big flare. Everything is very stable since the last flare. If you don’t take into account the blood clots, then I think my disease has been quite kind to me. I don’t take much medication. I take the blood-thinning drug, warfarin, and I have had periods where I have had to take cortisone for the big flares, and that, of course, has a lot of side effects. Part of this disease is that you get really sensitive to the sun, so I haven’t really sun-bathed in almost 20 years. I will have very healthy skin when I am old. There are elements, the flares and especially the thromboses, of your lupus that must be very frightening. AB: Yes, they were quite traumatic, because one of them was a pulmonary embolism. Through the years, if I think about what kind of damage this disease has done to me, it is mostly a mental effect. I have been scared. The first time I got really sick was a big trauma for me and it took me a long time to not be afraid of my illness. Looking back, what impact do you think your illness has had on your music? Have you written songs about aspects of the disease? AB: I have written quite a lot of songs about dealing with my feelings surrounding the disease. I have written songs about the fear and anxiety I have around my disease, and the fear of it coming back. Some of my songs might seem like relationship songs, but are more about my relationship with that struggle. Not all songs are about my lupus, but, for instance, for ‘These Days’ from the last album [2011’s It All Starts With One] is very particular to my disease. ‘The Fight Song’ from 2005 was actually a song I wrote while in hospital in 2003. I have used music a lot to get through these things. So, I have written songs about it, but not specifically about the disease itself, more about how it affects me in my emotional life. And of course I have been happy. It’s not like I have been miserable for all these years, but it has affected my quality of life. I believe you had a kind of ‘epiphany’ in 2012, when you were able to change your attitude towards your lupus. How did that happen? AB: What happened was that in the months prior to the last flare, I was really worried about what was going on as I could feel in my body that things were not okay. I was really scared. I was working and my career was going really well, so I was diving into that to escape everything. Then, I think I just got fed up with being so scared. I looked at myself in the mirror and realised that I knew that the feelings of being scared were hurting me more than helping me. It was a clear insight that came to me in the middle of the night. I think that we as humans have this intuition that we should be afraid, in order to protect us from things, or be afraid in order to prepare us against things. In most emotional situations you cannot prepare, so it is really just a waste of energy. I just realised all of this – that being scared and putting my body into a serious stress situation – was actually hurting me more and wasn’t making me feel healthier and was actually making me sicker. I know that being in ‘flight or fright’ mode for any length of time can have serious consequences for the body’s immune system. AB: Absolutely. From that insight I started doing some research about how stress affects your body, and how fear is a very particular kind of stress and a negative stress at that. There is a lot of new research about how stress hormones affect your body and how you can work on giving your body as much of the good hormones as possible, because that heals your body. I am quite a rational person – so when someone could show me that there was a rational way of seeing fear in terms of stress hormones, it was easier for me to understand. There is some Australian research into lupus, which looks into how the disease reacts to stress hormones and I think all autoimmune diseases are very sensitive to stress. It is typical that the flares come after a period of emotional stress. The connection is quite clear. So how did that insight into the biology of stress impact your emotional relationship with your disease? AB: When I got better after the most recent flare, for the first time I actually felt grateful for being healthy. I hadn’t been in touch with those feelings previously. I should have, but I couldn’t really let go of the fear that it would happen again. This time I came out of it with this amazing feeling of gratitude and of loving life and people. I had a feeling of calm that I hadn’t had for years. The songs that came were partly some relationship songs, because of things that had happened, but also for a new song like ‘Still Waters’ was very much a recognition of how things had been before and how things had changed and that I had reached a new place. The new album as created after your change in mindset. I believe that musically you were inspired by some artists – DJ Shadow, Lauryn Hill, Charles Mingus – that you had loved when you were younger. How did those artists help shape the sound of When I’m Free? AB: I wanted to take my music into a different world but I still wanted to keep the intimacy and the warmth of the last album. I feel that those artists have that intimacy but it is very mysterious and persistent. Also, the simplicity of a Fugees' song like ‘Ready Or Not’ is genius – it’s just a synth and a voice and some bass. That’s something we discussed – trying to find those simple elements. DJ Shadow uses drums that are very jazzy but also have an electronic feel to them – it’s a great beat without being totally mechanical. So, we didn’t really know much when we went into the studio – we just had these references. It’s the first time I have done it that way, because I wanted to make something new but it had to feel authentic to me. I stepped out of my comfort zone many, many times – and sometimes I felt I was way too far from it, so I had to step back and start over. I just knew I wanted more beats, more bass and more energy. I wanted more colours in the music and that’s what I feel we have managed to do. Talking of beats and energy, you recently scored a big hit with Dr Kucho! & Gregor Salto with the song ‘Can’t Stop Playing (Makes Me High)’. The track is very different to your usual style. How was the experience? AB: It has been huge fun and quite surprising how it ended by being top of the charts. I got the production sent to me last October. I had a day off and I was sitting in my kitchen playing around with the song, while having ten cups of coffee and having a lot of fun. I sent it back to them and they liked it and wanted to record it. I went to the studio and did it really quickly. I sent off all the files and then went on a solo tour. I didn’t think about it much and then all of a sudden I got news in February-March time that the song was getting lots of hits on YouTube, and that it would probably do really well in Britain. It has been a big bonus. It is a song that makes me want to dance. It makes my friends want to dance and their kids want to dance. It’s just a very energetic, happy song, even if lyrically it is not the deepest work I have done. Would you do something similar in the future? AB: I think I would do it if I got another production that I actually liked. I would do it because I thought it was fun, as you never know if it will be a hit. It was a very playful process for me. I think that as I get older I get a little less afraid of doing things like that. I know where my heart is and I know that I can make people feel something with my music. I’m quite confident in what I am doing, so if I can also make a song that people want to put in ten times during a party and makes them happy, then I think that is also good. I feel that playfulness is something that has entered my life a lot more in the last couple of years. I’m not taking everything too seriously. I think that is something that comes with age – I hope. I feel that music is much more fun for me than it has ever been. Before it felt like life or death and was very important to me – and it still is important – but I feel I have a lighter approach to it now. That sounds like a wonderful headspace to be in. I’d like to thank you for talking to me about your lupus. I can imagine it is not an easy thing to discuss. AB: Thank you. I always felt like when I talked about my disease, it almost became like a therapy session and that’s not really a thing to do with a journalist. Now I am so emotionally finished with it, I can talk about it in an objective way. What is important to me in telling my story is that if someone hears about my experience and it helps them, then that would be really good.